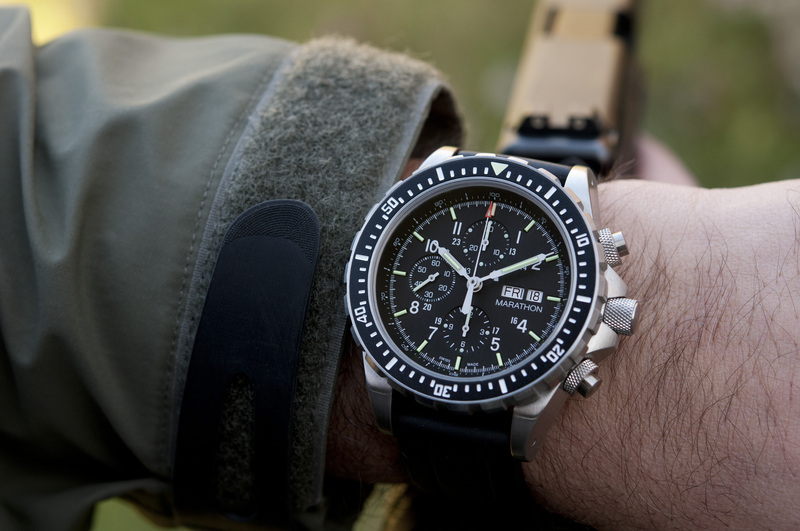 The CSAR is a robust chronograph built to the same standards of water resistance as Marathon’s other dive watches with a specially modified 25 Jewel Valjoux ETA 7750 automatic chronograph movement and self -lluminated 24/7 tritium gas tubes for bright dial illumination in low light. 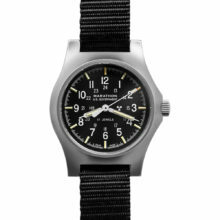 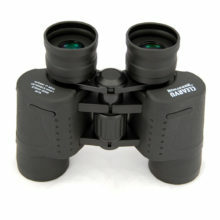 The CSAR is a large, functional tool watch that will provide years of enjoyment! 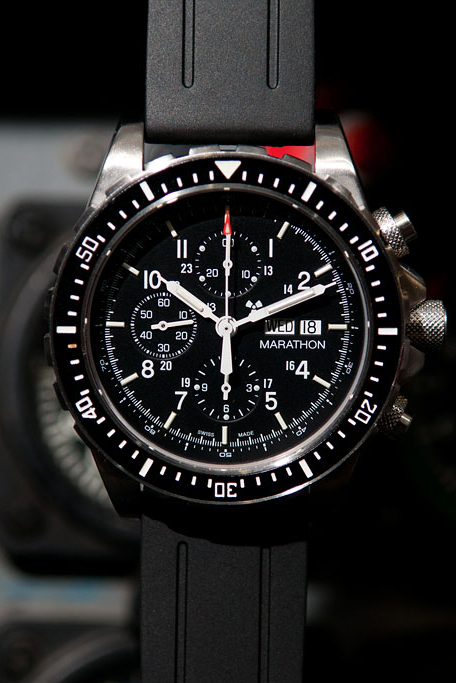 The Marathon Pilot’s Chronograph (CSAR) is a robust chronograph built to the same standards of water resistance as Marathon’s other dive watches. 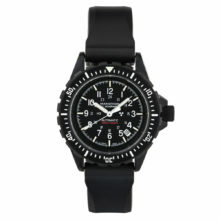 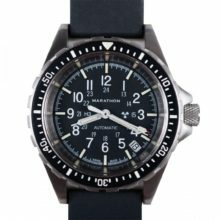 The Marathon CSAR Watch is designed for use in dives, search and rescue operations, and by pilots and aircrew. 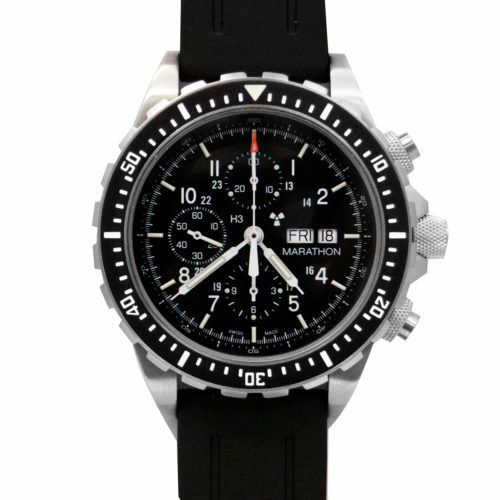 Manufactured in accordance with US Government Specification and issued and worn by troops in Iraq and Afghanistan, the Pilot’s Chronograph is commonly referred to as the Chronograph Search and Rescue or CSAR. 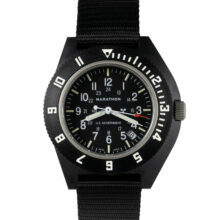 The Marathon CSAR watch is water resistant down to 30 ATM – 300 meters (1000 feet) submersion. 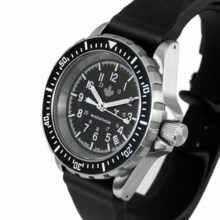 Made from 316L surgical grade stainless steel, the CSAR is a purpose-built watch that will serve you well and reliably on any adventure you may take. 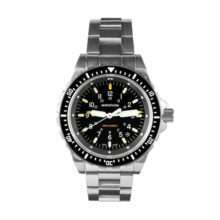 The glass of the CSAR is in fact not glass, but a synthetic sapphire which will resist scratches, and is coated with an anti-reflective coating to ensure maximum dial legibility. 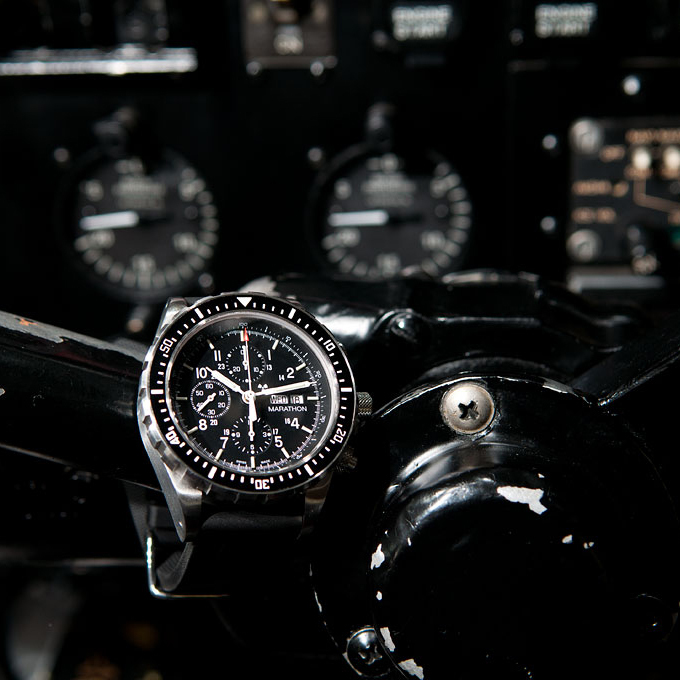 in all lighting conditions. 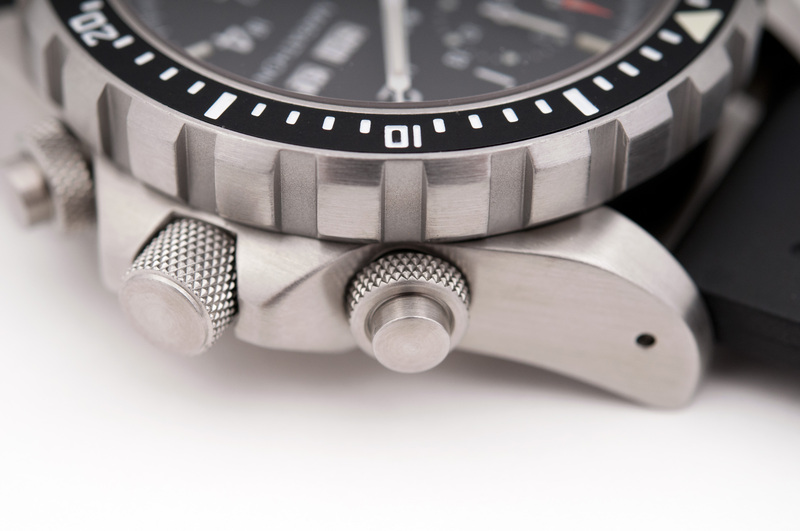 The CSAR is hand assembled in La Chaux de Fonds Switzerland to guarantee the highest level of quality and accuracy in manufacturing. Inside the CSAR is a modified, adjusted Swiss made, 25 Jewel Valjoux ETA 7750 automatic chronograph movement. 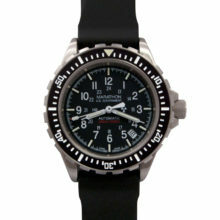 The CSAR ensures you timekeeping that is accurate and reliable. 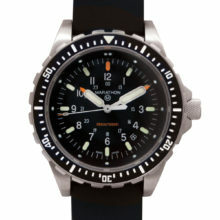 To make sure that the time can be constantly read even in low light situations, the CSAR has self-contained Tritium gas tubes placed on each hour marking as well as on the minute and hour hands and MaraGlo photoluminescent paint for the 12-hour bezel marker as well as on the minute and hour chronograph register indexes. 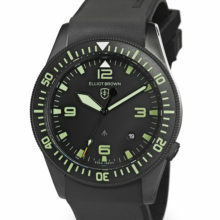 Tritium tubes are self-illuminating gas tubes which contain an isotope of hydrogen, meaning they will not lose brightness over time like photoluminescent paint which requires an external light source to create a glow. 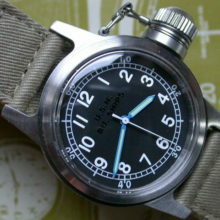 The dial of the CSAR shows 12 hour and 24 hour time and also displays the Date and Day. 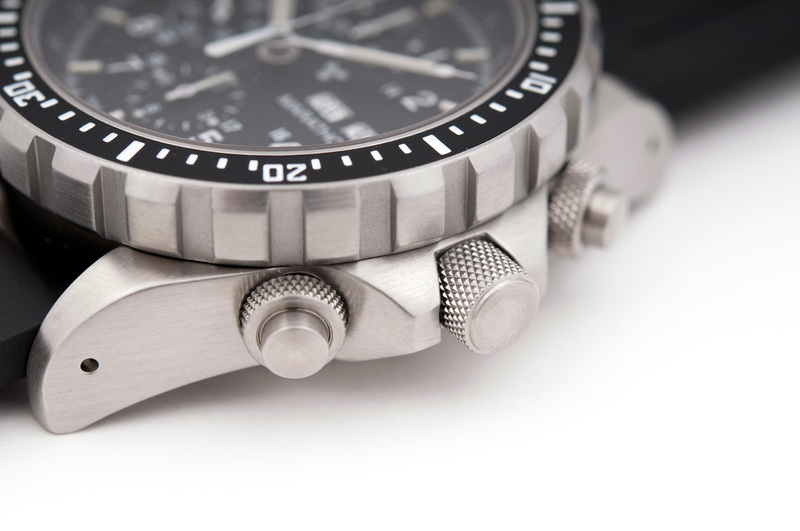 Chronograph timing is dual graduated, inner graduations are 1/5 sec and as well as decimal 1/100 minute timing (alternate inner timing ring). 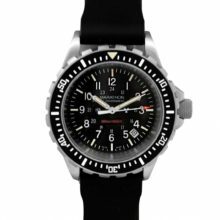 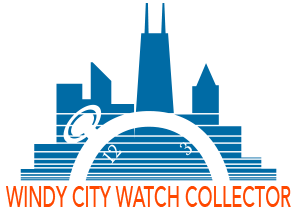 A sweep central seconds hand indicates 1/5 sec up to 60 seconds; Chronograph sub-registers measure up to 30 minutes and 12 hours each. 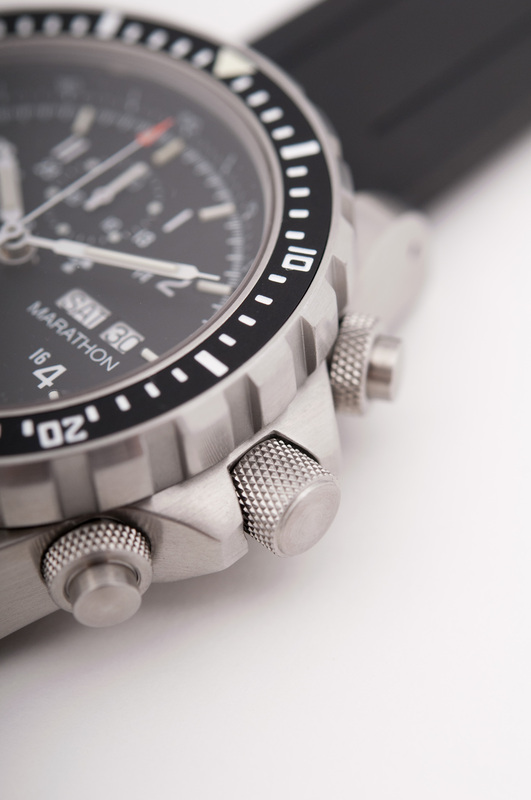 Register indexes & hands use Maraglo paint for low light viewing. 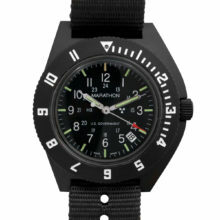 Encapsulated tritium (Isotope H3) light sources are used for dial at each hour position as well as the Minute and Hour hands, activity between 28-30 millicuries (under 30 millicuries).